The admit card for National Defence academy(NDA) and Naval Academy(NA) was released on 29, March 2019 (Friday), by the Union Public Service Commission(UPSC). 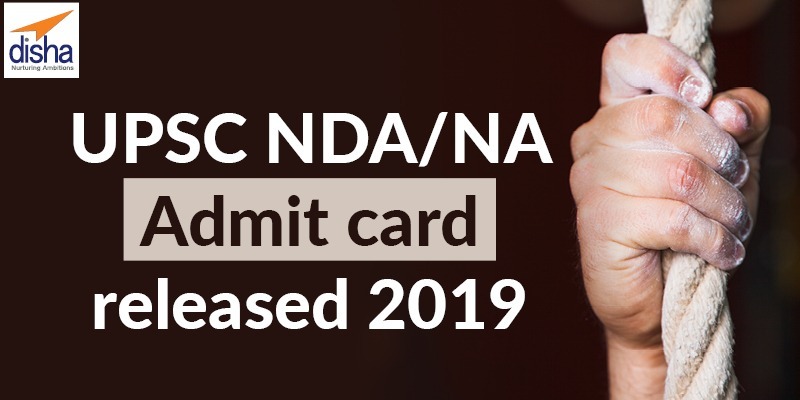 Candidates for NDA/NA examination can download NDA admit card 2019 from the UPSC official website. The admit card (printed) along with the original photo ID card, should be carried for the exam. Read and follow the instructions printed at the back of the admit card. The exam will be conducted on April 21, Sunday, 2019 for NDA/NA. This is in view to fill the 342 positions for NDA and 50 positions for NA. The candidates are recommended to keep the admit card for NDA/NA 2019 until the final day of the results, if needing to produce it.